The sidechicks are always going to be a problem—especially when you decide to finally commit to the main chick with a baby or marriage. Keeping a sidechick is a war the man will never win, yet many men somehow love to dig their heads in there—eventually, the sidechick shows her true colour, the reason why she is a sidechick in the first place. 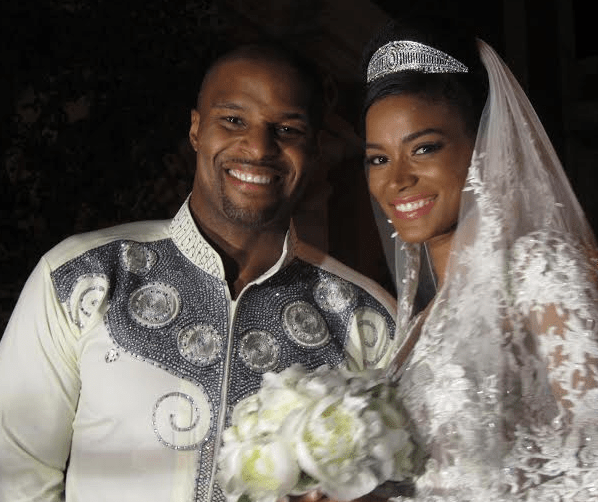 NY Giants football star-Osi Umenyiora married former Miss Universe Leila Lopes recently—had a stunning wedding and the couple are still on their honeymoon. Sidechick means drama and yet some men don’t know! haha. why did i die laughing at your comment. How do some men carry 2,3,4 side chicks all at the same time. If you find a main chick, then decongest the side chicks fast, before you attempt marriage. Its better to lead the main chick on for a few months while you decongest the side chicks than to marry when you know side chicks are lurking around. Men pls stop playing games with women. When a woman’s heart turn against you, it would be better to be best friends with satan. She will completely finish you and she will do it at all cost.